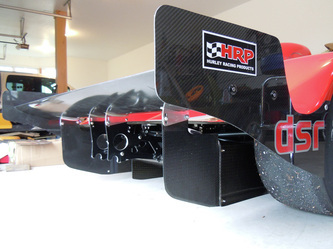 Need even more downforce, now available P1 dual element wings. 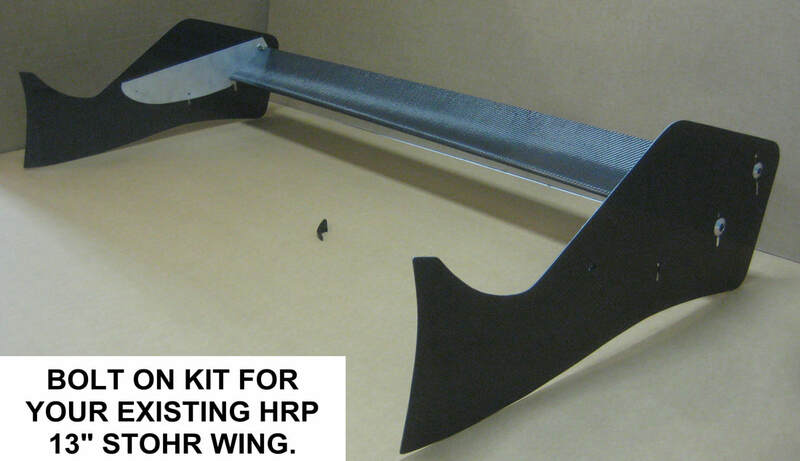 If you are already using the HRP 13" P1 we have a bolt on kit that includes a 5.5" second element and end plates and the required hardware.
. Complete assembly with the 13" wing included is $2,550 plus shipping, includes midstrakes and required hardware. New for 2016 P2 legal, dual element wings. 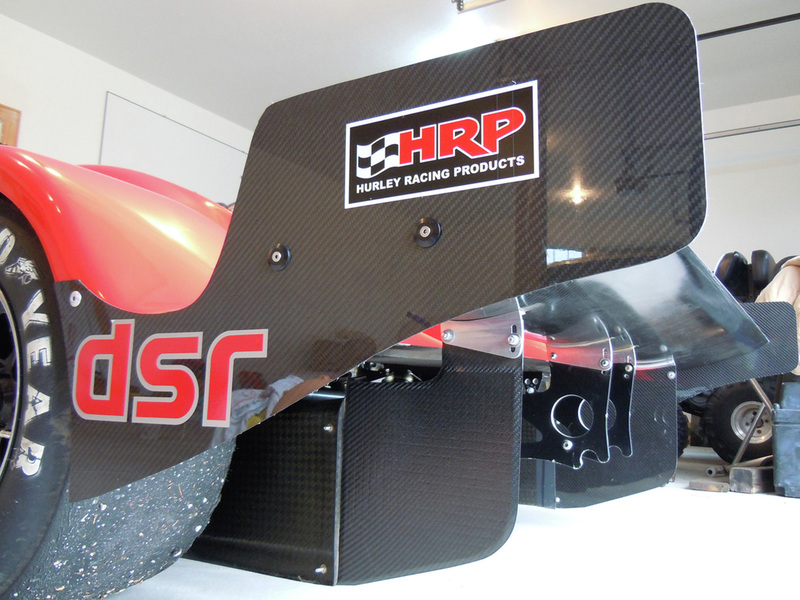 We can build to your specification for overall width and mounts. 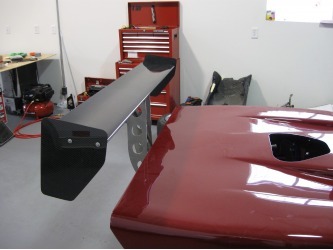 Complete assembly $2100.00 for the WF-1, West and many others. 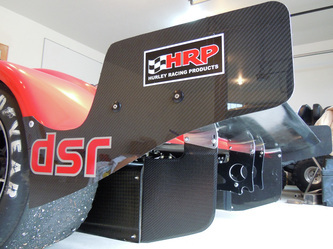 Now available P2 wings with the same design as the HRP/WF1 wing seen below only with a 12" chord to be compliant with the new P2 rules. 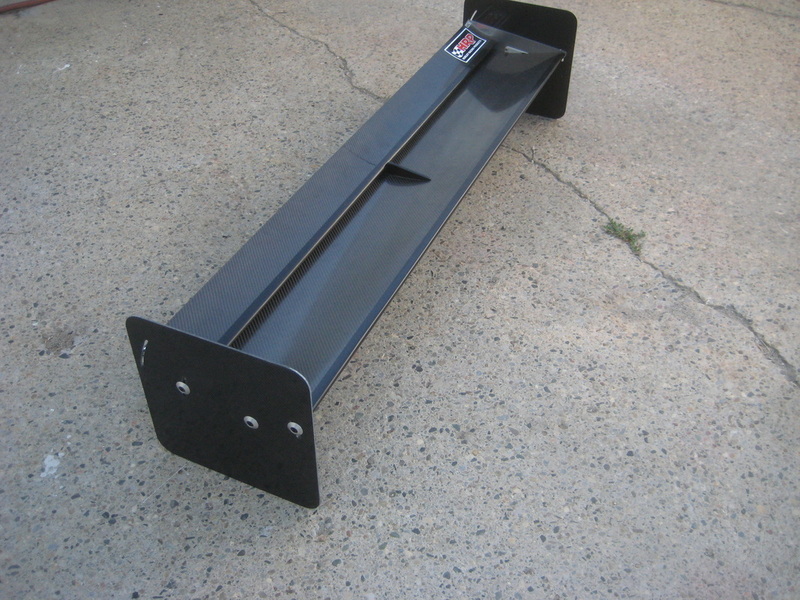 $1490.00 with end plates and hardware. 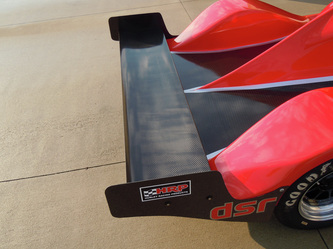 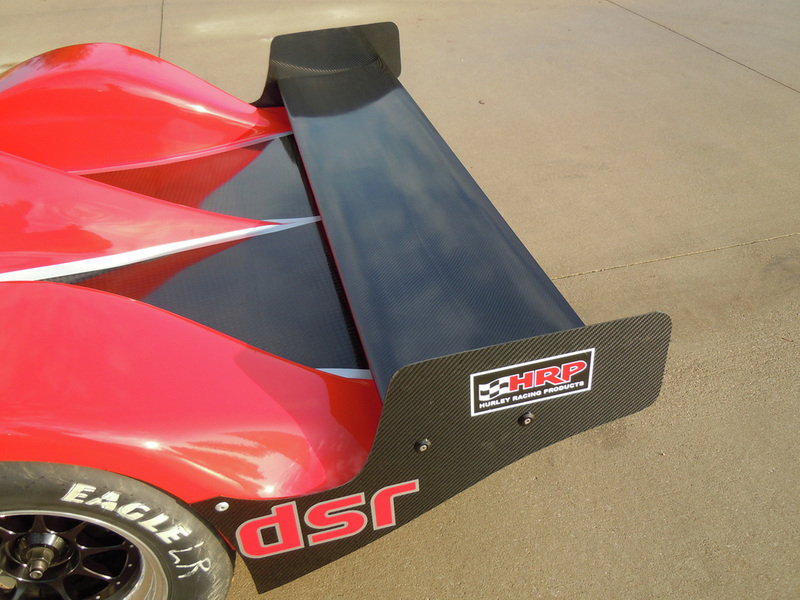 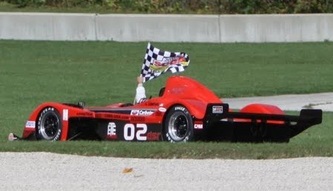 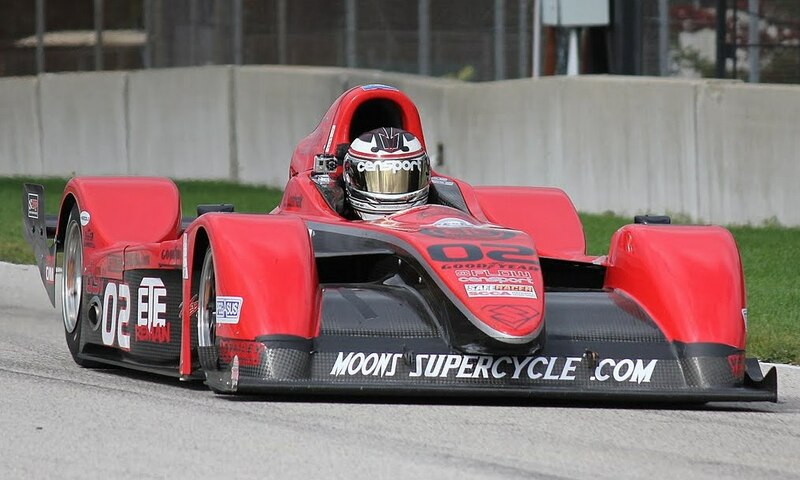 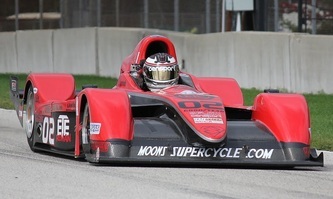 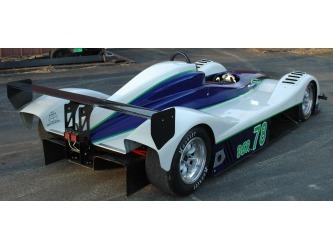 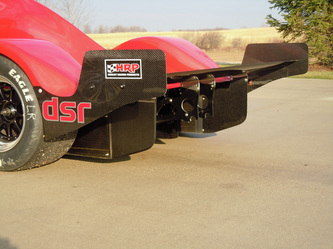 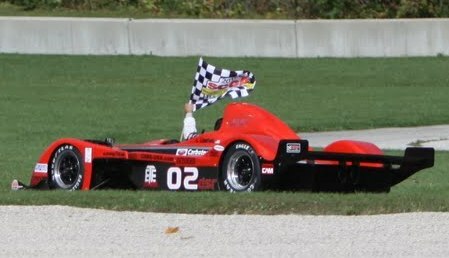 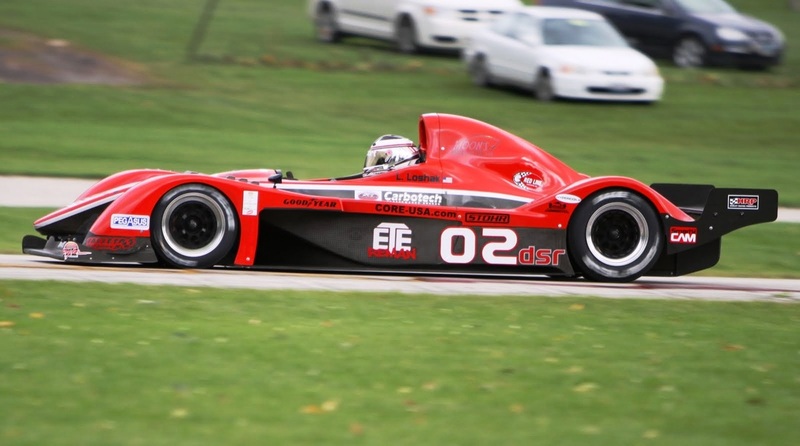 Now available for sale: The same style rear wing assembly which Lawrence Loshak used in winning the SCCA's 2010 DSR National Championship. 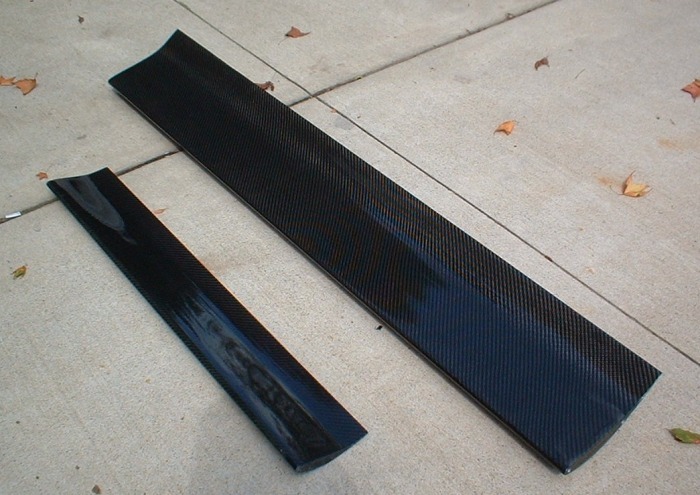 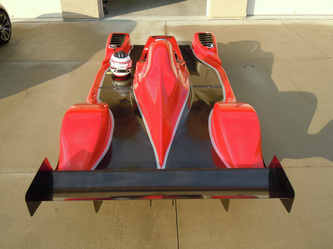 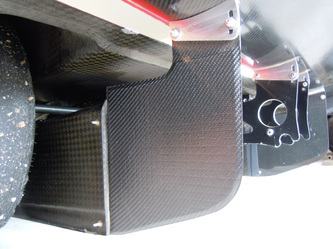 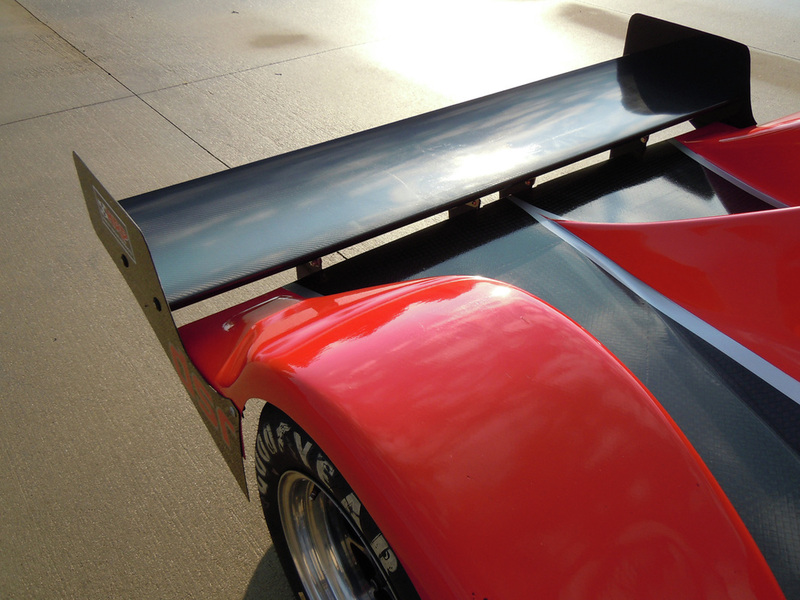 $1,950 complete; carbon fiber wing, end plates, center strakes and center strake mounts. Call Mike Devins at (586) 623-3055 to upgrade your Stohr or other car today. 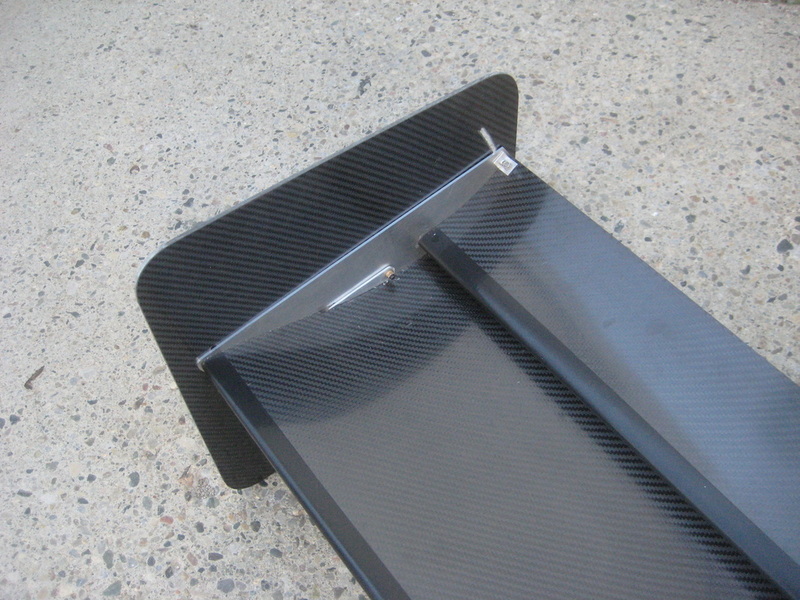 The wing pictured below has a 13.3" chord - there is an option for a 16.4" chord as well. 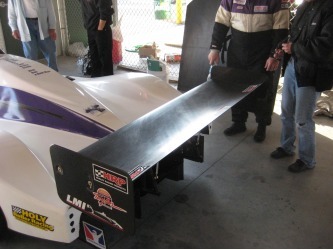 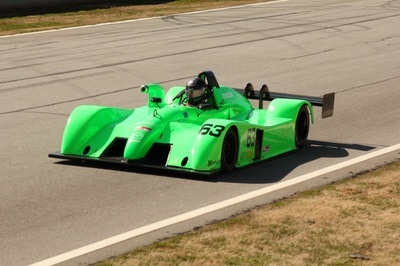 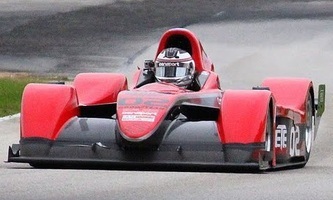 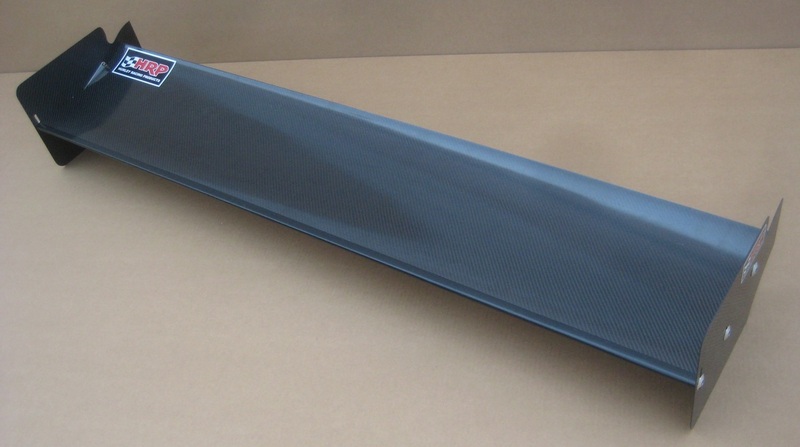 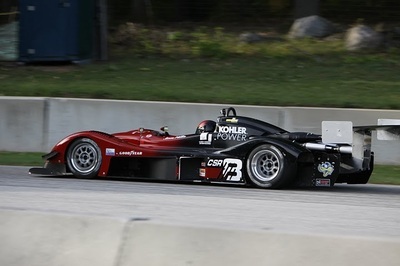 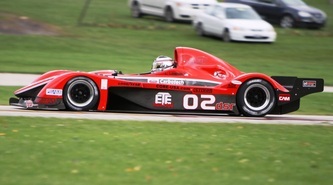 We make many other wings to fit your sports racer with cord length from 10" to 16 3/8". Some examples can be seen below.